An oval band saw box of local birch with an oil and paste wax finish sorry pictures are upside down my phone is flipping them upside down for some reason. great looking box,thanks for sharing. This is a great design and done so well. 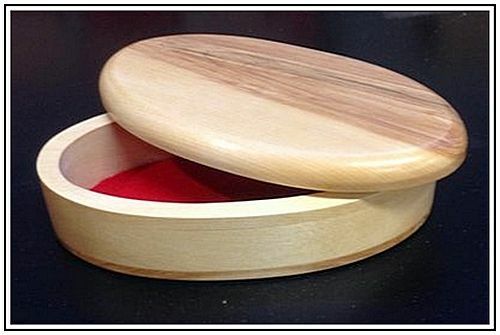 Very nice, lidded boxes are a real favourite. Well done!